We’re really pleased to say that we won both ‘Dram of the Day’ and ‘Stand of the Day.’ Given the calibre of Distilleries and Single Malts at the show, we’re incredibly proud and honoured to have been awarded these two accolades. 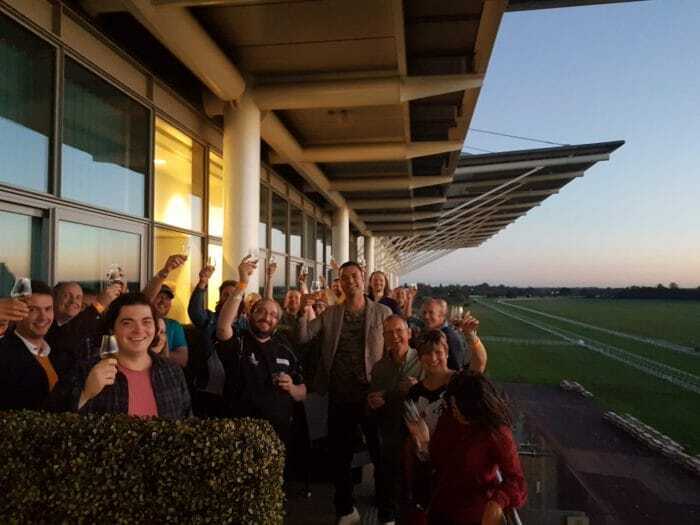 We love York, and the work The Whisky Lounge does, and so we were really pleased to be invited to the Yorkshire Whisky Festival at the Racecourse this weekend (6th October). Throughout the afternoon and into the evening, we shared cask samples, chatted about our ethos and approach, and had tastings of our Distillery Projects 003 Maturing Malt (there are still a few bottles left if you’re interested – head here to buy). At 6pm, Joe ran a masterclass, discussing our individual and instinctive creation process – from grain to glass, using a unique combination of pot and column stills, and maturating in a range of different casks. The session went really well, lots of nodding heads with noses in glasses, and ended with a final tasting out on the balcony watching the sunset over the Knavesmire in York.